“Fantasy Short Stories: Issue 1” out now! Fantasy Short Stories is a new publication established with the aim of publishing the best short stories in Heroic, Epic, and High Fantasy, and with plenty of Swords and Sorcery thrown in. Although many of our authors may be unknown to you, we aim to set high standards for publication, and to discover some great new talent in the world of fantasy fiction. Fantasy Short Stories will provide a safe haven for all lovers of proper fantasy – we wave garlic maces in the face of all urban vampires. If you want tales of magic, dragons and sword-play then Fantasy Short Stories is for you. We love the work of writers such as George R. R. Martin, Michael Moorcock, Lord Dunsany, J. R. R. Tolkien, Gene Wolfe, Jack Vance, Roger Zelazny, Joe Abercrombie, Ursula Le Guin, Robin Hobb and David Gemmell, and hope that you do too. · ‘The Dying Elf’ by Mike Pielaet-Strayer: Oberon the swordsman watches a young elf die on the battlefield and tries to come to grips with his own humanity. · ‘The Empty Dark’ by C. L. Holland: Korix and Leveri are far from home, farther than either of them could have imagined. As they search for a way back they discover it’s not only children who should be afraid of the dark. · ‘Demon Stone’ by Jake Scholl: When his kingdom and his wife are held ransom by an evil sorcerer, King Dagr goes on a quest to give the sorcerer what he wants. At what cost is Dagr willing to go to save his kingdom? · ‘The Pivot’ by Noeleen Kavanagh: Two boys are thrown together in a chance encounter that turns their world upside down. · ‘Sparrows Falling’ by Gretchen Tessmer: A black sorcerer and a foreign enchantress practise their arts in a castle on the borderlands. But when the lady locks herself in her tower, even the servants know something’s amiss in Grendl Castle. 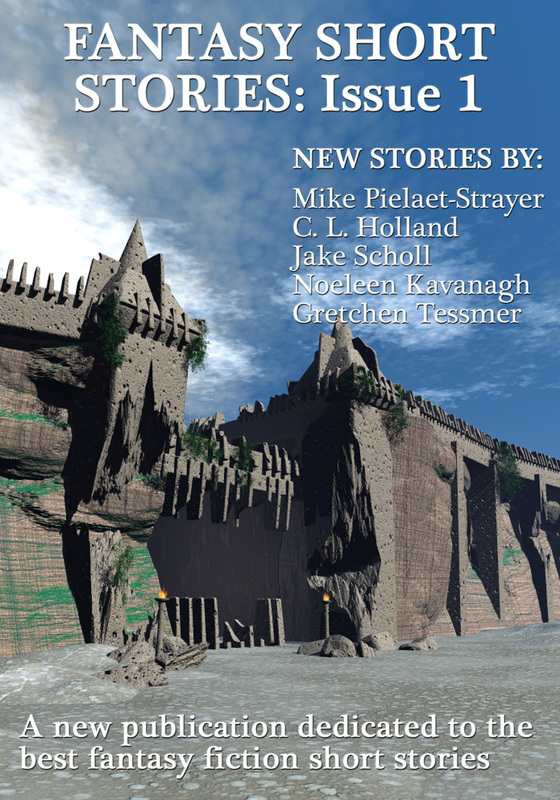 More information about Fantasy Short Stories Issue 1 is available at http://fantasyshortstories.org/current-issue/, including free previews of each story. Next Editors. Editors. Editors. AAAAH!